Godly Government eBook Soft Launch!! As a human being and especially as an entrepreneur, you absolutely need to harness the power writing to connect. Now that connection could be to yourself or to other people, but the connection—whatever it may be, is paramount. 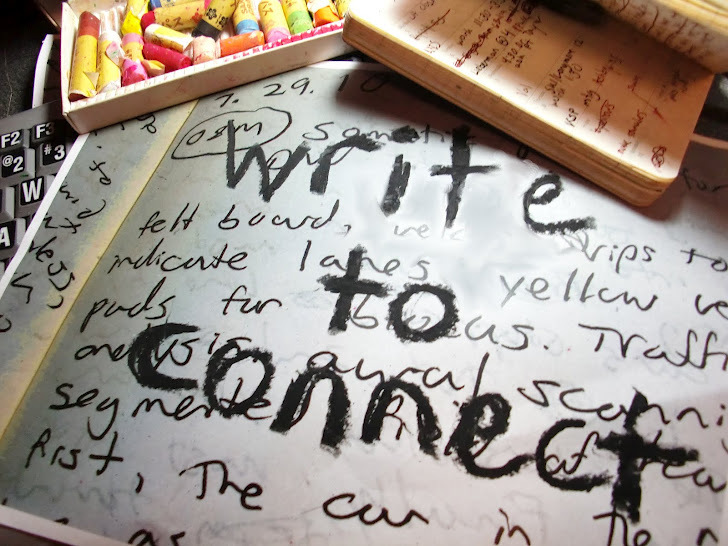 Let’s look at the three different ways you can connect through writing. Connecting with yourself through writing is absolutely important if you expect to connect with other people. Often at the beginning of English or writing classes, the teacher/professor will have the students start of by answering a question about themselves; other times, the students are required to keep a journal. Answering the indicated questions and keeping a journal allows the students to connect with themselves further than they would have without the journal. I have kept a journal off and on since I was 11 or 12. Oftentimes, I am able to look back at my journals throughout the years and see where I was—good or bad—at that time because it was plainly expressed in my writing. Sometimes I cringe, other times I’m thrust into a state of retrospection, and other times still I am astounded at what God has brought to past or revealed to me over time. You see, as I began to mature in Christ, I started to keep journals of that relationship specifically. Many times God will speak to me and I will immediately record it in a journal and if I keep it before my eyes, it is an encouragement, instruction, as well as indications of what to look and hope for. It helps me connect in my relationship to God which rebounds and allows me to connect with myself. I also have a Promise Journal which I employ to record the manifestation of God’s [prophetic] word to me as it comes to past. I find it very encouraging and also believe that it increases my faith and in turn encourages God to keep doing what He’s doing. It’s wonderful really! In some cases, I will write letters. These letters could be to God or to an actual human being. I find that especially in these letters to other human beings, it helps me make plain and connect with my emotions and heart concerning that person and I can say things that either do not need to be said verbally or need to be tempered with wisdom, discretion, etc. Then I either keep the letter in my journal or destroy it so no one will ever find it. You see, these letters are more for me than they are the other person. It helps me deal with my pain or frustration without drama or angst and then when it’s all said and done, I can throw it in the trash, shred it, or if I’m feeling particularly dramatic—burn them and flush the ashes down the toilet. Works every time. Journaling—whether about everyday life or you relationship with God—is an excellent way to connect with where you are spiritually, mentally, and emotionally. Writing to connect with people is also utterly important. Just think if God had never decided to inspire the prophets of old and apostles of the new dispensation to write the Bible. We would only have myths and legends passed down by word of mouth for thousands of years that would have been so skewed by the time they reached our generation that there might not have been any truth left. But instead, God in His infinite wisdom understood the power of the pen and caused His Holy Spirit to infiltrate the minds of His people to have a living testament of His Words and will in the form of the Bible. When any kingdom or nation wanted to implement their government and law, whether it was the ancient civilizations or newly formed democracies, each ruling class will make constitutions and decrees for the people to understand and implement. Whether it is the business plan for your company, the manufacturer of your new shiny car, the college you apply to, or the text message from your significant other sent at just the right time, writing allows people to communicate and thus connect with other people. We would be very likely clueless without this connection, especially in a day and age where we are always on the go, working virtually/remotely, and rely on technology to communicate on all plains. Now that we understand the importance of writing to connect with people, we must understand the importance of translation in that connection. When your church’s prophet stands up to deliver a message in tongues [heavenly language] chances are—and proper order indicates—that the said prophet or another prophet must translate the message so all present will understand what exactly was said in tongues. My spiritual father his fromHonduras, but pastors inMiami,FLand in order to reach all of the people under his church and influenced by his apostolic network and ministry, he translates his books into English and Spanish. If I were to teach a writer’s workshop inHolland, I would need a translator to interpret what I am saying to the participants and vice versa. But translation does not just deal with different tongues of men and angels. I visited my best friend’s law school a couple months ago and to me, the professors might as well have been speaking Chinese. It is the same when someone starts rattling off on the topic science or math or finances. Since I do not “speak” the languages of government, science, math, and money so I need someone to “translate” it into terms that I can understand. And similarly I can go a million miles per hour talking about the things of the Spirit, fairytales, and weddings and you may need an interpreter because you do not speak those languages. So you see that translation is paramount. The Jewish Torah and the Greek Septuagint had to be translated so that people who could not read Hebrew or Greek could still know what God was saying to them. I have a very good friend who is a private banker and I keep telling him he needs to put his wisdom and experience into a book because when he teaches and writes about finances, he puts them in terms that anyone—even children—can understand. In my wedding blog, DA Weddings, I do not typically use highfalutin, academic, or spiritual words or terms because it’s a wedding blog. I use conversational, informal language and style of writing because that is what communicates what I need to say about weddings best. And as you can see, I use an entirely different style of language for DA Inspires and my column, A Different Generation. Writing styles must also be translated for the best level connection with the anticipated readers. If we expect to make an impact in this life, we must write to connect. Whether by blog or article, interpretation or translation, business plan or book, we must do it. Desiree M. Mondesir is the CEO and Founder of Desired Assistance or “DA” virtual writing and editing company which also encompasses DA Inspires, DA Weddings, DA Luxury and her self-titled authoress blog. As a dedicated writer and entrepreneur, Desiree seeks to inspire the imagination, educate her readers, and challenge the toxic mindsets of individuals all over the world. Sign up for a FREE subscription at www.dainspires.wordpress.com!